Yente the Matchmaker. Vera Charles in Mame. Maude. 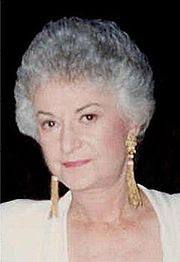 Dorothy Zbornak. Bea Arthur was a legend. Sadly, she has left us. She passed away today at age 86 in her Los Angeles home. She had been battling cancer. Rest in peace, Dorothy. Give our regards to Sophia.